This post is sponsored by Castor & Pollux Natural Petworks and the Pet Blogger Network. I am being compensated for helping spread the word about Organix Pet Food, but To Dog With Love only shares information we feel is relevant to our readers. Castor & Pollux Natural Petworks is not responsible for the content of this article. 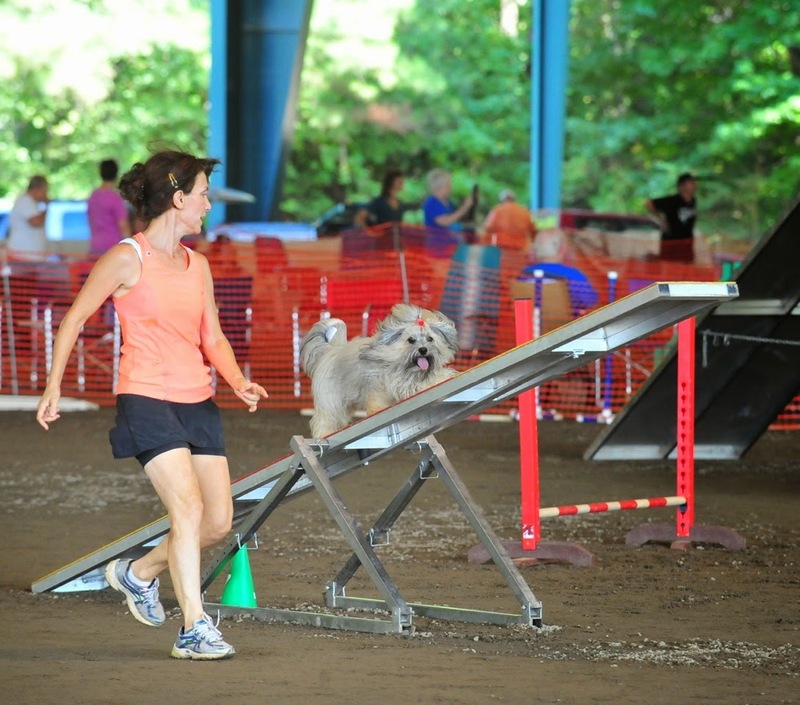 have fun competing at agility trials! It's important to me to choose healthy foods, and that goes for both me and Rocco. We both like to be active and play, and the better we eat the better we feel! I actually LIKE fresh fruits and vegetables, and as it turns out, so does Rocco. He gobbles up green beans (he likes them frozen! ), apples, broccoli and old favorites like carrots and sweet potatoes. We both like all sorts of proteins too, so I want to make sure what we eat is the best quality we can find. I also like the idea of making sure that what we eat comes from safe sources -- free of chemicals or anything artificial wherever possible. And so, I've explored the options in organic foods and treats -- for both me AND Rocco. There's a lot of information out there regarding organic… in fact, so much information it can make your head spin. You can read A LOT about organic from the USDA National Organic Program (NOP), the organization that administers USDA organic regulations and describes the specific standards required for organic agricultural products. In a nutshell, organic operations must show that they protect natural resources, conserve biodiversity, and only use approved substances. For example, synthetic fertilizers, sewage sludge, irradiation, and genetic engineering may not be used. Take this survey and find out! First, Castor & Pollux, makers of ORGANIX - the most complete line of certified organic natural food for pets made under the USDA’s National Organic Program - has created this survey to find out what folks think and know about organic pet food. In the next few weeks, the survey results will be created into an infographic and shared right here and across social media so you can see what everyone else thinks about organic too. Take the survey now to get your opinions included! Next, to help sort through some of the information, here are a few myths vs. facts that were presented at a recent #OrganicFestival social media event. Choosing organic can also make a difference in your exposure levels to pesticides. One recent study showed that eating just 80 percent organic can reduce your pesticide exposure by up to 96 percent. So how do you know if your food is organic? If you see the USDA organic seal, that verifies that the product has 95 percent or more certified organic content. If the label claims it was made with specific organic ingredients, that means those specific ingredients are also certified organic. Oregon Tilth is one of the USDA NOP accredited certifiers. 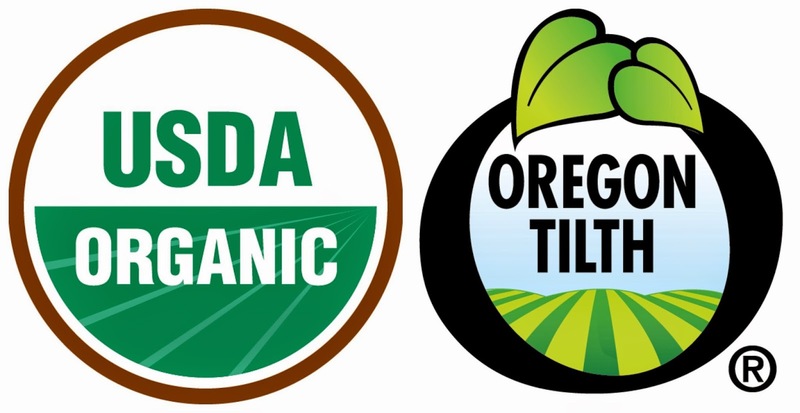 If you see the Oregon Tilth logo on a products, it is also certified to the standards of the USDA. Both of these certifications are used for Castor & Pollux pet foods, which assures these foods with organic ingredients contain no chemical pesticides, synthetic fertilizers, artificial preservatives, growth hormones or antibiotics. Rocco says ORGANIX foods are tasty too! ORGANIX is the most complete line of certified organic natural food for pets made under the USDA’s National Organic Program. The food features certified organic, free-range chicken or turkey as the No.1 ingredient for excellent taste and digestibility; organic fruits, vegetables and grains for vitamins, minerals and antioxidants; plus, soluble fiber to help maintain a healthy intestinal tract. Castor & Pollux foods for pets are available at Petsmart, Petco, Whole Foods Market and pet specialty retailers nationwide. Use this store locator to find Castor & Pollux near you. We'll be bringing you more information about organic and Castor & Pollux in the next few weeks. And in the meantime, don't forget to take the #OrganicPet survey! Do either you or your pet eat organic? Tell us about it in the comments below. Annoyingly there is a lot of mislabelling here specially with statements like all natural etc. You do need to be careful. Have a fabulous Friday. You are what you eat! And I don't personally want to be hormones, fertilizers, antibiotics, etc. My pets probably don't want to be either! My Shelties all really love fruits and veggies too! My other two dogs, both of which are rescues...,,....well, they have to be tricked to eat their veggies like kids. LOL. It's never ceases to amaze me how companies try to mislead you with labeling... I like organic foods for my dogs too....they like castor and Pollux a lot. It's funny how some pups love fruits and veggies and some don't. Rocco's pal Nicky stays with us sometimes and Nicky won't touch the frozen green beans that Rocco LOVES! The most recent research regarding Alzheimers shows that synthetic fertilizers and and nitrites used to preserve meats are among the causes of this deadly disease. As well as switching to ORGANIX, we've eliminated commercial fertilizers in favor of natural ones. Thanks for joining the #OrganicPet group! Oh, that's interesting research about Alzheimers. Very good to know!